After reading what some facial masks are made of, many people are scared of using them on their own skin. But there is always a way out. You can make a really effective and safe mask, yourself. More than that regular care and using natural skin care products will help you look healthier and avoid possible toxic elements such as sulfates and preserving agents that are used in mini masks. If you are interested in getting to know the simplest facial masks that your skin will thank you for then just keep on reading. Ingredients: one banana, one tablespoon of yogurt, one teaspoon of soda. Grind the banana then add soda and yogurt. Put it on the face for 10 to 15 minutes before washing it off. This mask is helpful because bananas are good for reducing inflammation and acne. There is even information that says bananas can be used to treat wounds and burns. #2 Getting rid of large pores. Ingredients: two tablespoons of yogurt, 1 teaspoon of cosmetic clay, 1/2 teaspoon of honey (if you are not allergic). Mix cosmetic clay with yogurt and honey, put the mask on the face and keep it there for 15 to 20 minutes. Wash it off with cool water. This mask is great because yogurt helps to get rid of large pores and it lightens pigment spots. Ingredients: one half ripe avocado, one tablespoon of milk, 1 tablespoon of honey. Mix a ground-up avocado with milk and honey. Apply it to the face for 10 to 15 minutes and wash it off with warm water. Avocado contains healthy fats it moisturizes dry skin and it is great for reducing the effects of UV light. It also has an anti-inflammatory effect that helps to improve acne. #4 For removing dark circles under the eyes and swelling. Ingredients: 1 teaspoon of coffee grounds, 1 pinch of black pepper, 1/4 teaspoon of coconut oil. Mix all the ingredients and put them on the skin under the eyes. Leave it there for 5 to 10 minutes and wash it off with warm water massaging the face. This mask is great because it contains caffeine that narrows vessels and helps to reduce swelling and dark circles. Cut the tomato and put the pieces on the face. You can wash the mask off in ten minutes. Splash the skin with warm water. Thanks to lycopene that tomatoes contain. This mask freshens tones lightens and lifts the skin. Peel the cucumber and cut it into pieces. Remove the solid pieces. Leave it on your face for 15 minutes and wash it with warm water afterward. This mask is very good for the skin because cucumbers contain a lot of vitamins including K, B-5, A, and C that when used together have a very good effect on the skin. #7 For increasing skin recovery. #8 For moisturizing and healing. Ingredients: 1/2 cup of oatmeal, 1/3 glass of water, 5 drops of vitamin E.
Boil the oatmeal in water and let it cool down add vitamin E. After that apply the mask to the face for 15 to 20 minutes and wash it off with water. Thanks to the soft structure of oatmeal this mask is great for sensitive skin. It will remove dead skin cells and moisturize the skin. #9 For removing oily shine. Ingredients: 1/2 of a potato, 1 TSP of lemon juice. Way 1: Cut the potato rub it on the face and leave it there for 10 minutes, wash it off after that. Way 2: Grind the fresh potato and add 1 TSP of lemon juice mix it and put it on the skin. Wash it off with cool water. This mask is great for reducing oily shine. #10 For looking like you've had good rest. Ingredients: Aloe juice, 4 tablespoons of pink clay. 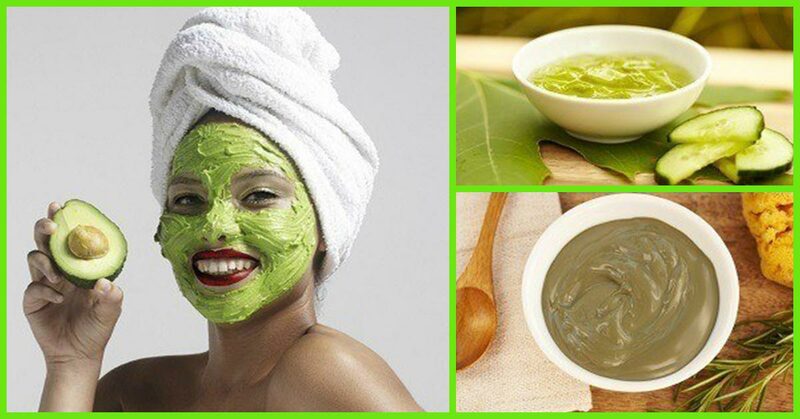 Mix the clay with aloe, put the mask on the face for 15 to 20 minutes but don't let it dry. You can sprinkle some thermal water on your face when you notice that the mask has dried. Wash it off with warm water. This mask can be used even by people who have sensitive skin. Ingredients: one tablespoon of lemon, one tablespoon of honey. Mix lemon with honey, wash your face with warm water. Apply the mixture to your face. Wash it off with warm water in 20 minutes. Honey has a good moisturizing effect and lemon is great for purifying. CAUTION: Before using any masks try it on a part of your body that people can't see. This is a good way to check if you have an allergic reaction. Do you use homemade masks or do you prefer professional care? Sure what you think in the comments section below.